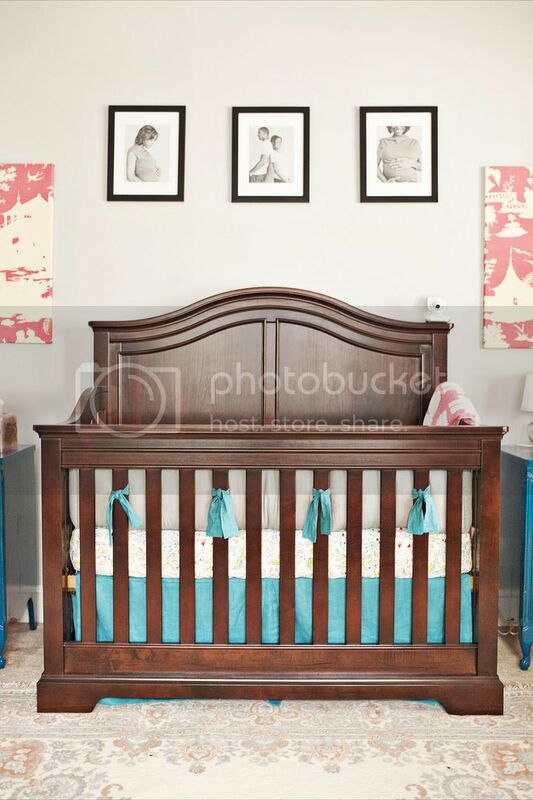 Today, I am so thrilled to share some photos of a nursery design I did last year! 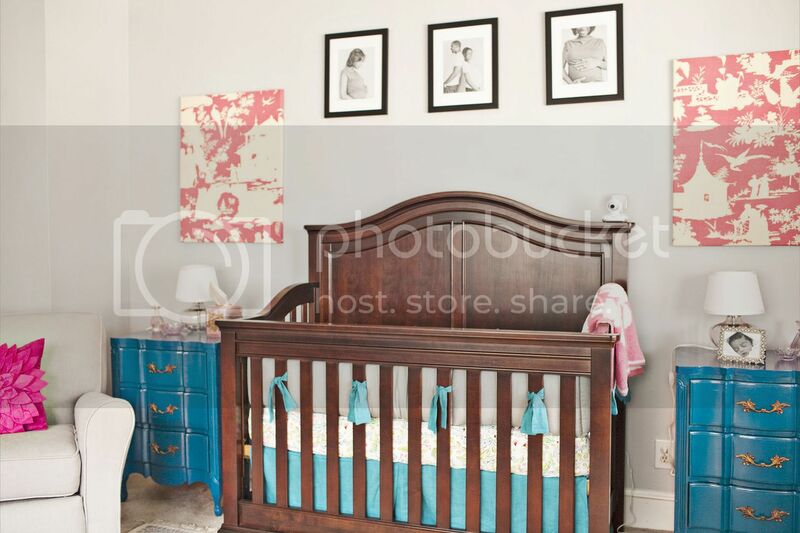 My client had Heidi Geldhauser of Our Labor of Love photography the space and she did such a beautiful job! I'm looking forward to working with Heidi soon to photograph my own studio. This project was so great because Cori had great pieces to work with from the start! You can see the original design plan here. The rug was already in the room before it was a nursery and was such a great jumping off point for the color scheme in the room! I also found them a coordinating wardrobe to the crib which isn't pictured. Cori refinished these turquoise side tables herself and did such a fabulous job! 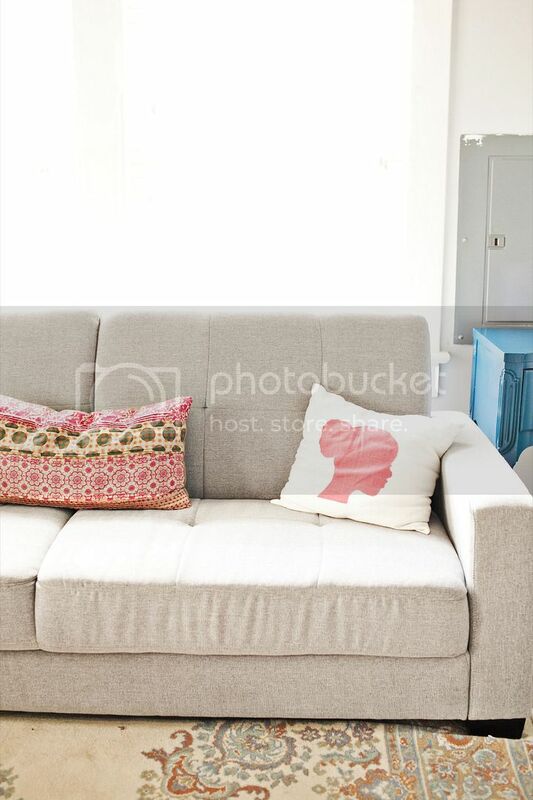 They pop agains the cool greys and variations of pink to make the room less traditional girlie. Cori wanted a rocker that looked like a contemporary chair, not a rocker, so the chair you see pictured on the left is what I found as the solution! It's super comfy, and can't tell it's a rocker until you sit down in it. 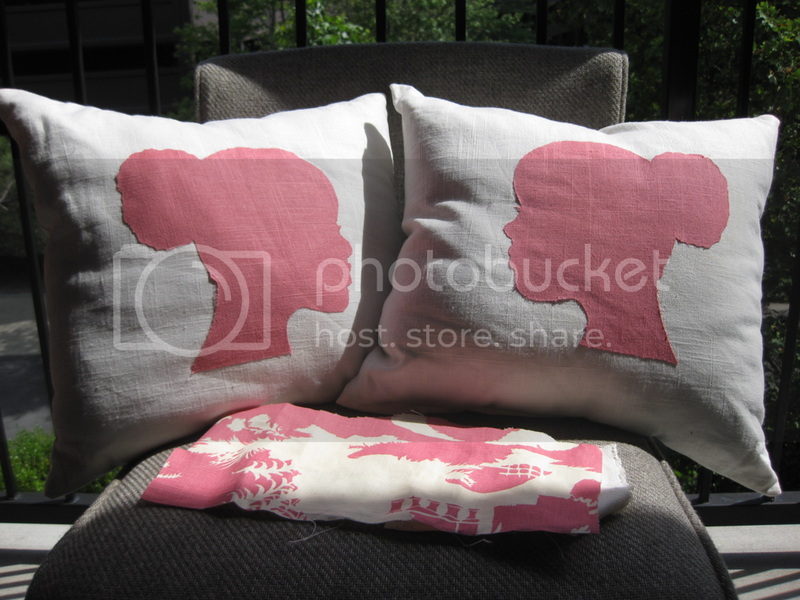 I made these custom pillows for the room with a hand drawn afro puff sihlouette last year! 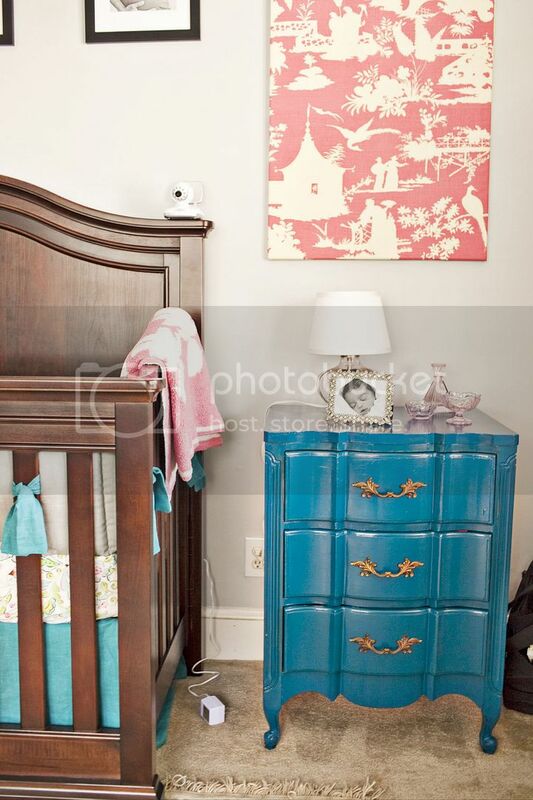 The coordinated perfectly with the Quadrille China Seas fabric we used for the panels above her bedside tables. And lastly, look at baby Adyn's sweet little face! :) She's almost a year now and such a beautiful little girl! 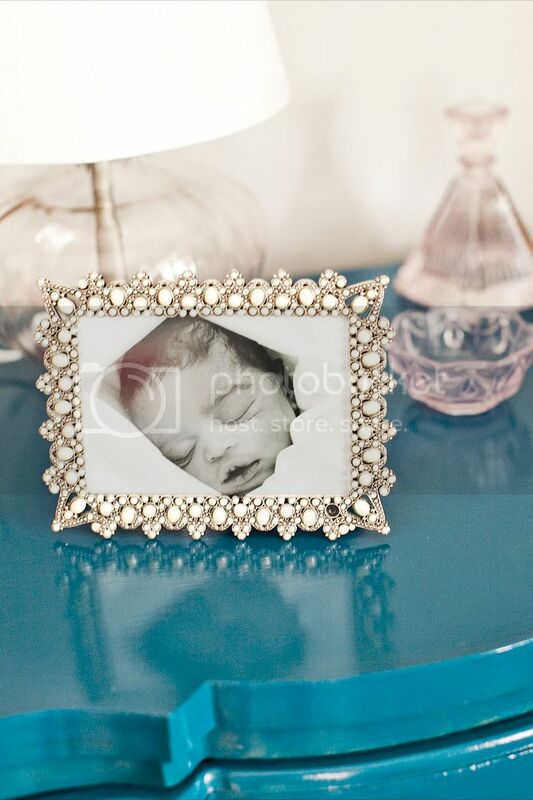 I'm glad that she's enjoyed her nursery thus far. If you need help creating a coveted space, contact me today. Visit my interior design website for details on services!